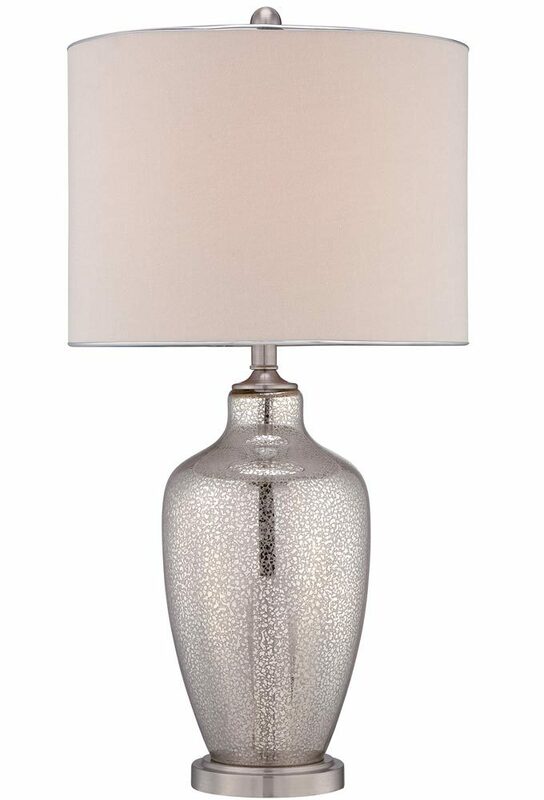 The Quoizel Nicolls 1 light mercury glass table lamp with beige shade features a circular plinth base and urn body. 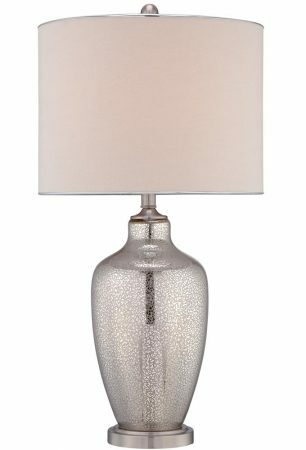 A good sized table lamp, with top cap and metal accents in brushed nickel and beige fine grain linen 15″ hardback drum shade with silver trim. 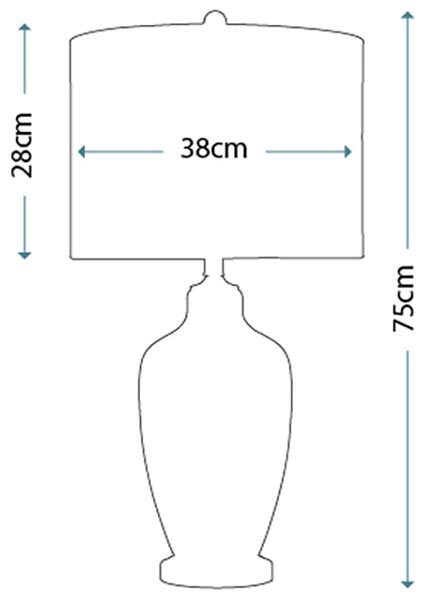 A quality 75cm tall glass and metal table lamp, with beige drum shade. Classic style for a bedside table, living room, dining room or hallway. Supplied by Elstead Lighting and designed by Quoizel, founded in 1930 in New York. 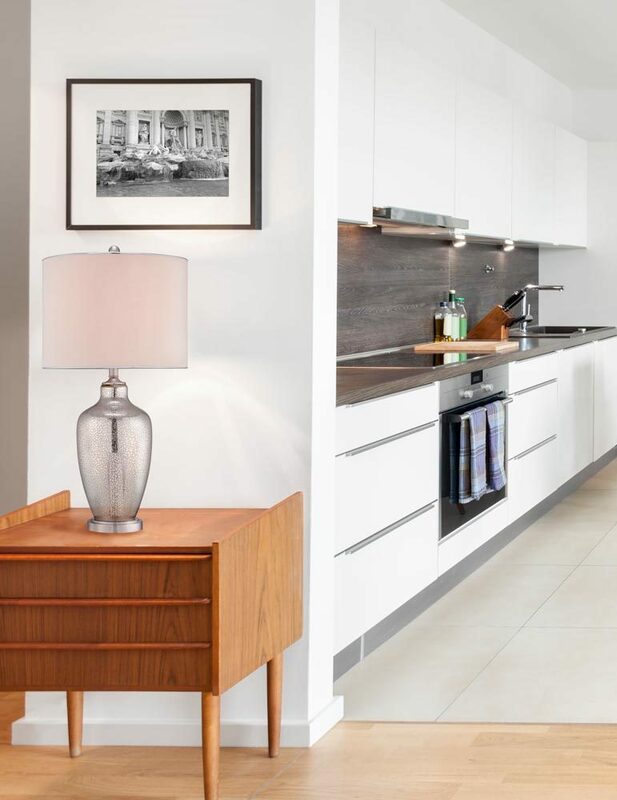 Quoizel products are now being introduced to the UK market and have quickly built a reputation for their diverse, unique and fresh designs like the Nicolls 1 light mercury glass table lamp with beige shade you see here.